Major Spurs boost with Barcelona open to selling international | The Transfer Tavern | Where football transfer rumours fly or die! The Spurs fans in the Transfer Tavern who’ve had so much to shout about this season have seen their Bank Holiday celebrations added to following reports emanating out of Spain. That’s because Spurs have reportedly been handed a major boost in their chase of Barcelona defender Marc Barta after it emerged he could be available for just €8m, according to SPORT (via the Daily Mirror). 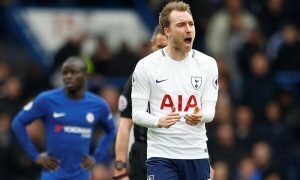 The Spaniard is thought to have come across the radar of the North London club over recent months after failing to break the first-team at the La Liga giants. Though he is a product of their infamous La Masia academy, the likes of Gerard Pique and Javier Mascherano occupy central defensive positions as things stand. A clause in his contract reportedly allows the 25-year old to leave the club for a knockdown price after failing to bag enough first-team minutes. It is claimed the clause equates to around £6.4m, with Spurs understood to have held talks with Blaugrana legend Carlos Puyol earlier this year in an effort to trash out a deal. A Spanish international, it’s hugely unlikely the North London outfit will be the only club interested in a potential deal this summer. How many signings do Spurs need to improve on last season?